Driving between Bengaluru and Mysuru, travellers whiz past a sign pointing to Ramanagara barely even noticing it. It’s a tiny town that few visit, but what looks like a forgotten place actually has a mix of eclectic sights. Called Shamserabad during the era of Tipu Sultan, and Closepet during the British Raj era after Sir Barry Close, Ramanagara is now known as Silk City. It is a major source of Mysore silk, and one of the largest silk cocoon markets in all of Asia. 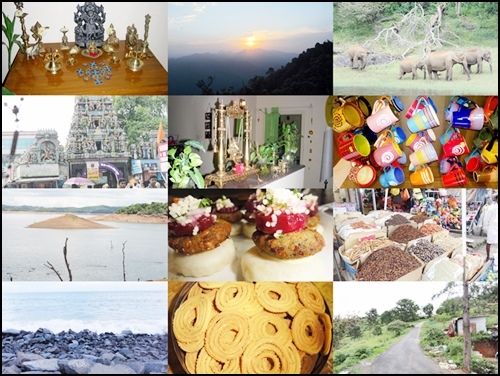 Besides learning more about the silk industry there’s a host of things a visitor can do in Ramanagara. On your way into town, grab a breakfast of thatte idlis at one of the tiny eateries along the highway. While in town, do sample the mouthwatering Mysore pak at Hotel Shri Janardhan, which has been doling out this sinfully rich ghee-laden sweet since 1926. Reach Ramanagara early in the morning to spot long-billed vultures in their natural habitat. The Ramadevara Betta Vulture Sanctuary is home to about 20 of these critically endangered birds. It can take some time to spot them, since they camouflage perfectly in the hilly terrain. The sanctuary was created in 2012 to shelter the species when its population dropped drastically after feeding on carcasses of cattle injected with the drug diclofenac. Visitors can also see yellow-throated bulbuls, sloth bears, and a variety of eagles including the stunning Eurasian eagle. Ramadevara Betta Vulture Sanctuary is named after Ramadevara Betta or the “Hill of Lord Rama” on which it is located. If you continue climbing from the sanctuary, a flight of about 400 steps leads to the top of the hill. There, amid lush greenery and boulders, is an ancient Rama temple that is said to date back over a thousand years. According to legend, the temple was established by monkey god Sugreeva when Lord Rama helped him defeat the demon Sukasura. A natural perennial stream flows nearby, creating Sita Pond in a spot between some rocks. From this scenic spot enjoy stunning views of the surrounding landscape. Trekkers and rock climbers come here for some of the world’s oldest granite formations. Numerous trekking companies organize activities for both beginners and experienced climbers (ex-Bengaluru day trips from Rs 1,500). There is no rock climbing during the monsoon, when rocks are slippery. This dramatic landscape has also been the setting in many a movie, including Bollywood evergreen Sholay and David Lean’s A Passage to India. Ramanagara is synonymous with sericulture, and the government silk cocoon market located in the centre of town is always bustling with activity. A whopping 50 tonnes of cocoons exchange hands each day, and the government has set up elaborate monitoring systems to ensure sericulture farmers get competitive rates. The sight of hundreds of trays holding the white-pale yellow fluffy cocoons being examined by buyers scrutinizing their breed, grade, and quality is fascinating. Away from the centre, a drive into some dusty by lanes and a bit of asking around leads to the small-scale manufacturing centres where cocoons are processed. Once the cocoons are boiled, you can watch deft hands extract long fibres and feed them onto spinning wheels. The silk produced here is largely used as an input for the state’s world-renowned Mysore silk saris. Wind up the day with a stop at Janapada Loka folk arts museum which provides an insight into Karnataka’s rural culture. The museum has over 5,000 artefacts related to cooking, farming, and animal husbandry: stoves, grinders, and animal traps. The puppets, masks, and dolls of traditional dance and art forms of Karnataka like Yakshagana showcase the state’s rich cultural history. The best part: guides here are not only knowledgeable but eminent folk artists themselves. 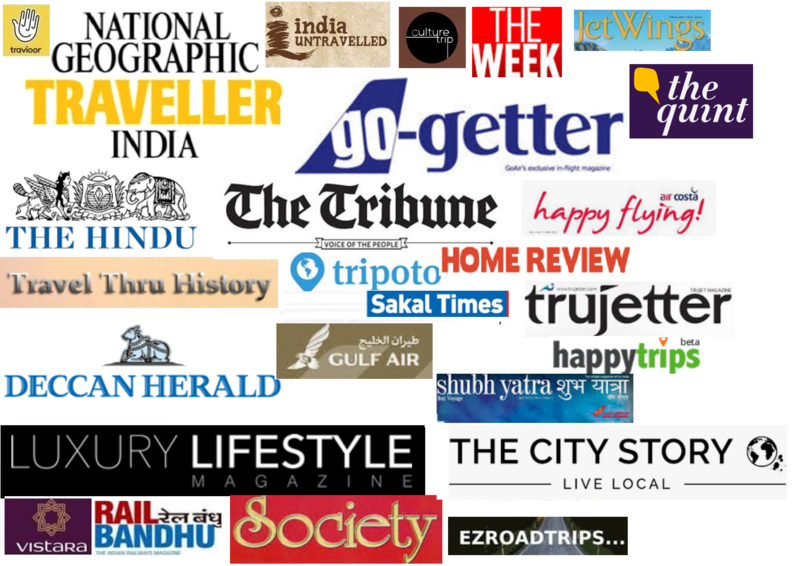 This article was originally published in National Geographic Traveller India. To read more detailed posts on some of the sights in Ramanagara, click here and here. Fascinating post coupled with some fantastic photography! Great article Rashmi… The Rama Temple looks so serene & peaceful. I didn’t know about the presence of vultures here. Would love to visit the Rama temple! Yes, it is really great:) Hope you can visit soon! Loved going through your post. These are some of the lesser known places of Karnataka, though not less important. Ya it is indeed Neha! what an interesting place to be! lovely review. WOW! Congrats on being published in Nat Geo traveller! That is remarkable. Have heard about the sanctuary but missed visiting it when I was in Mysuru last time. Next time for sure. Love the boulders!